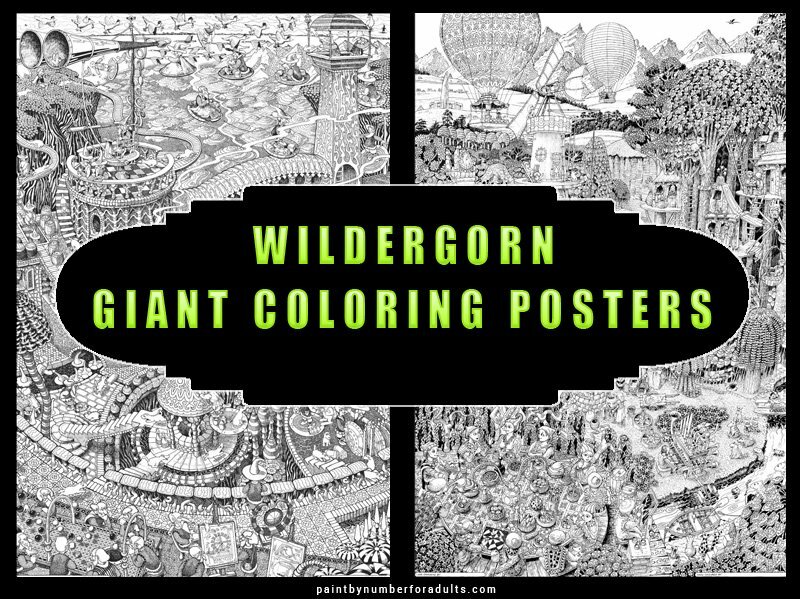 Are you looking for Wildergorn Giant Coloring Posters? 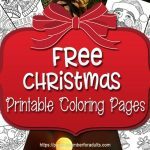 If you are looking for some giant coloring posters to stretch your coloring skills to the limit, you’ll find these intricately detailed GIANT 27 inch by 40 inch posters a real treat for your creative side. 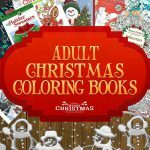 You will not only stretch your coloring skills but also your imagination as you will be drawn in almost hypnotically into the fascinating world of Wildergorn. These amazing color-in giant posters are designed by Jamie Courtier who is a former director of Jim Henson’s Creature Shop UK. 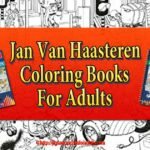 Each GIANT coloring is personally signed by Jamie Courtier the artist. Unlike many coloring posters these Wildergorn posters are printed on high quality 180 gsm acid free cartridge paper. 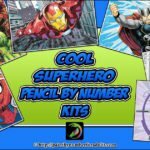 The posters are suitable for gel pens, felt-tip pens, colored inks, brush pens, watercolors, or colored pencils. 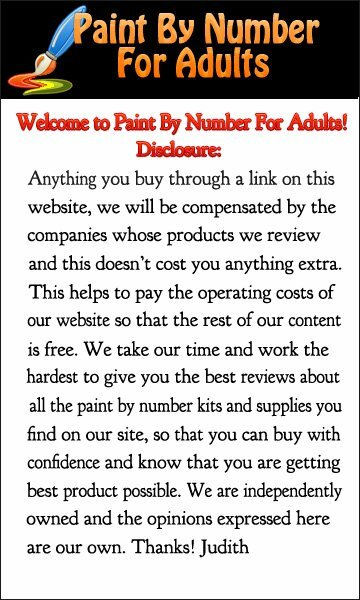 The more careful and discerning you are with your colors and coloring the more amazing your finished poster will be. 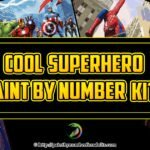 These extraordinary GIANT coloring posters are shipped from the UK in a handsome dark blue tube along with a personalized note and then packed in a robust protective mailing tube to ensure that they arrive safely. Waterborne has been known as one of the wonders of the land because there isn’t any other place in Wildergorn that can come close to the amazing works of engineering skill that can be seen in Watergorn. the caretakers of the Dorrak’s, who are a pair of leathery birds known to be somewhat of a nuisance because of their obsession for snatching bright metallic objects from the town’s terraces. Needless to say, the Dorrak’s are treated kindly and fed because legend has it that if they should leave, a great ill will come over the town of Watergorn. All in all the residents of Watergorn are industrious, hard working and love to celebrate with many feasts and holidays throughout the year. 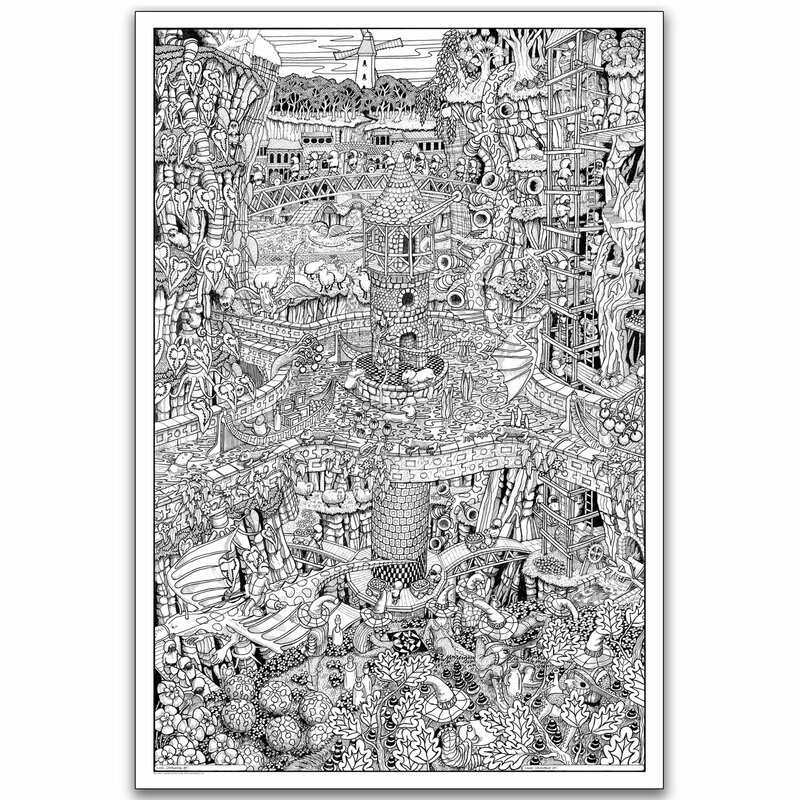 In this giant coloring poster named Potters’ Road, Jamie Courtier the artist depicts a scene of road from Watergorn on the river Torr to Roon on the east coast of Wildergorn. This road passes through the Forest of Lod and through the ruins of an ancient city that no one from Wildergorn even knows who built the city or who engineered the great causeway. But that being said with the rich clay and running water pot makers travel from afar to build their tree houses and kilns beside this road so that they can trade their wares to the towns of Wildergorn. 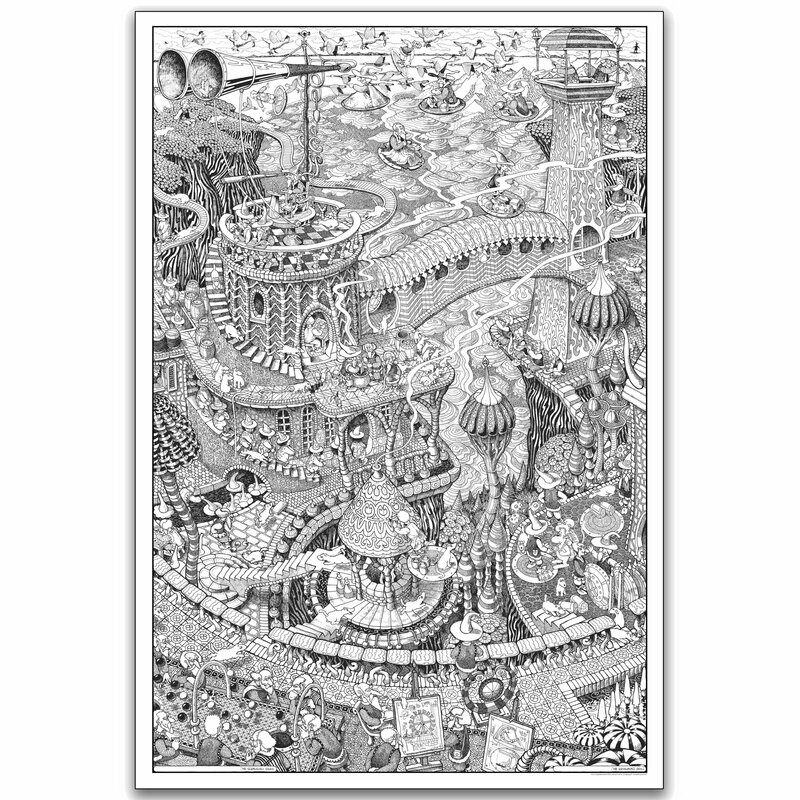 This amazing piece of art work goes about telling story of Potters’ Road is brought to life is this intricately detailed amazing piece of art work and all that is needed is for you to color to bring it life. The Tower mine is located north west of Wildergorn beneath the Creeg mountains, a land that is made of great great fissures of many sizes and shapes. This area is known as the Skray and is inhabited by the Tower Miners and the Sarads, The Tower Miners search for and excavate an underground fruit known as Moonfruit or Pellin which is sought after for it’s potent healing and curing powers of sickness and wounds and is therefore believed to be very magical. The hard shelled bitter sweet fruit is distributed far and wide by land air and water to all parts of Wildergorn. The gentle Sarads of Skray and the Tower Miners work together peacefully trading the Pellin which they have mined and prepared into liquid essence for gifts of wine, food, metal and cloth from the ever so thankful Wildergorn people. The Pog’s are a small but sturdy band of round-snouted creatures who inhabit a small wooded hilly island off the south coast of Wildergorn. They live mainly in the trees and feed on nuts and fruit. 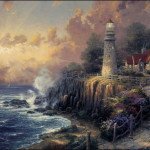 A little absent minded but they happily reside on their own little island. They are an artistic band of creatures who happen to paint the most beautiful pictures on large papery Saptu leaves using only feather brushes and colored berry juices. The Pogs defend their peaceful lifestyle and their island from the warlike Skarks. The Cave Fishers live opposite the the massive Umbrella Trees on the west bank of the river Thorr. Their huts are suspended by one line from the Caves of Sevist caverns ceilings. Their method of fishing for Ribfish as well as their housing is quite ingenious. The Gong Wizards are the protectors of Wildergorn and you’ll find them always watching and listening from the mystical high peak of Astriel. 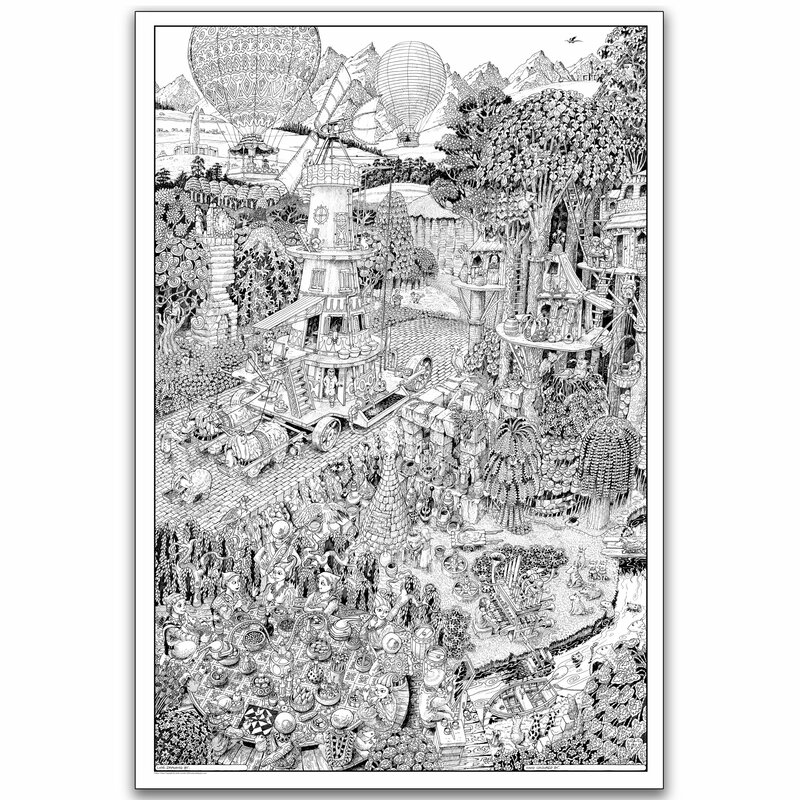 Needless to say there is so much going on in each these Giant Coloring Poster of Wildergorn that are so intricately detailed and designed by Jamie Courtier that I’m sure that you will have loads of relaxing hours bringing each Giant poster to life life with your own vivid colors.